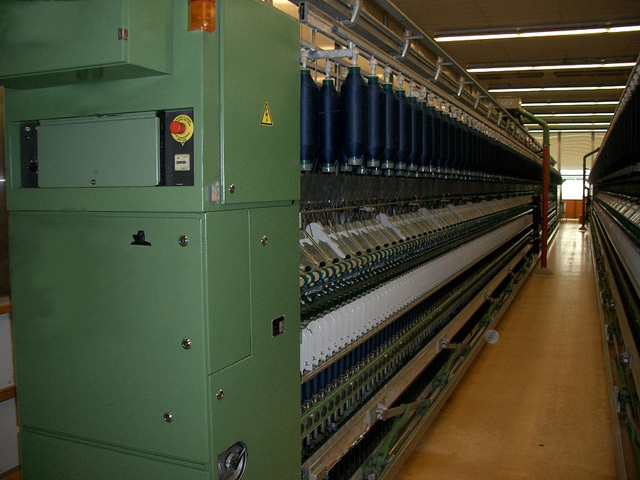 At the production site of our cooperation partner, Spinnerei Lampertsmuehle GmbH at Kaiserslautern, the production of our yarns is performed on most modern equipments. The company is certified as per DIN ISO 9001. 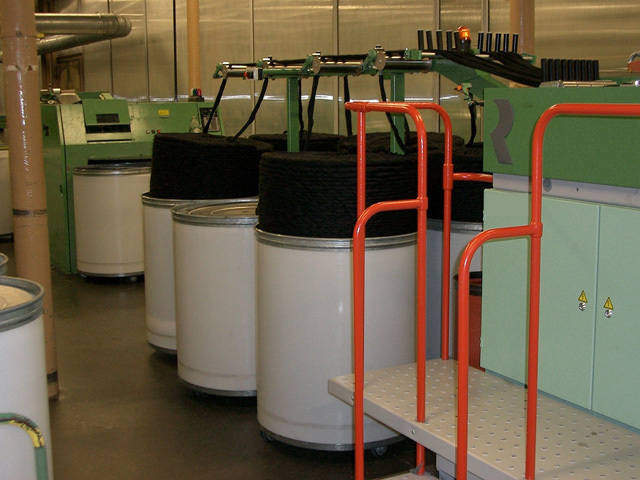 On all production stages, quality controls at highest standards are carried out. 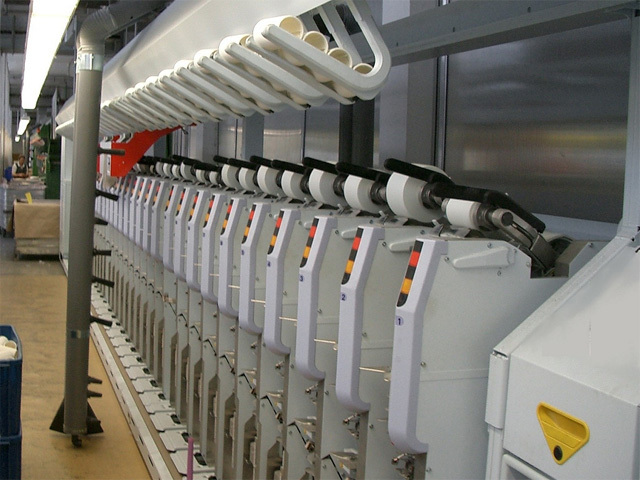 DuPont is our fibre supplier for DuPont™ Nomex® and DuPont™ Kevlar®. 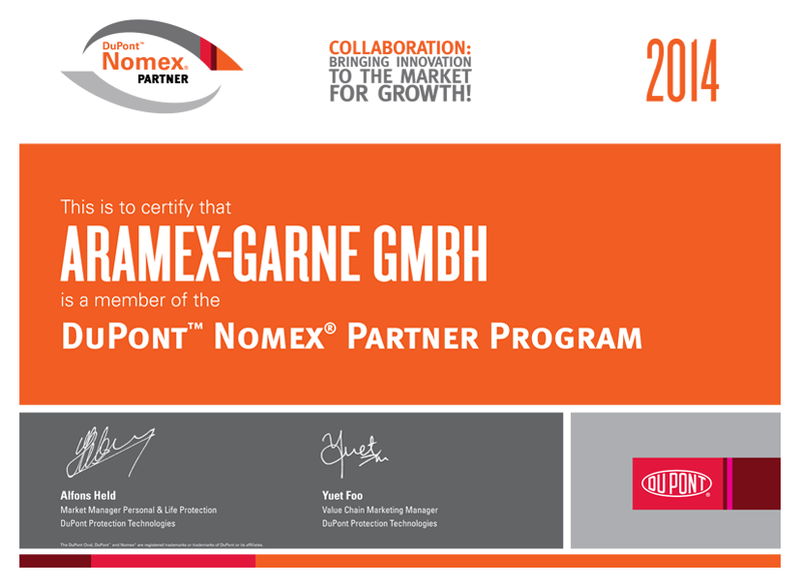 At the stage of spinnings Aramex-Garne is the only partner within DuPont Nomex® Partner Program. The standard requirements of this partner program even exceed the requirements of the European norms for protective clothing. 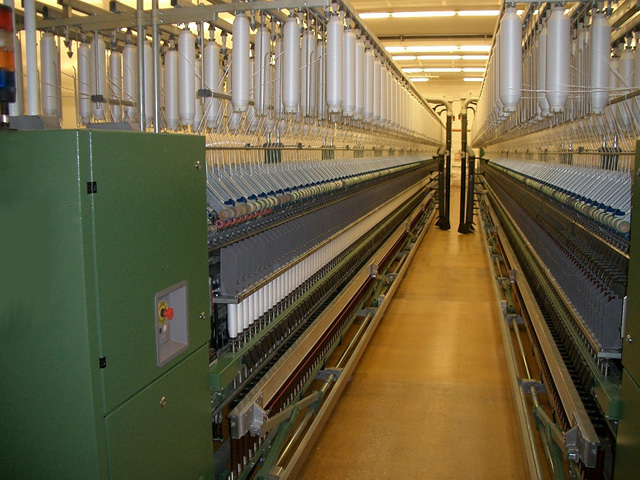 It is a quality assurance program of DuPont which allows the end users to perceive the articles of clothing that have been produced based on sophisticated standards. As a member of this program we warrant that we comply with these high standards. DuPont™, Nomex®, Kevlar®, Tyvek®, Teflon®, Thermo-Man® and Arc-Man® are registered trademarks or trademarks of E. I. du Pont de Nemours and Company or its affiliates. 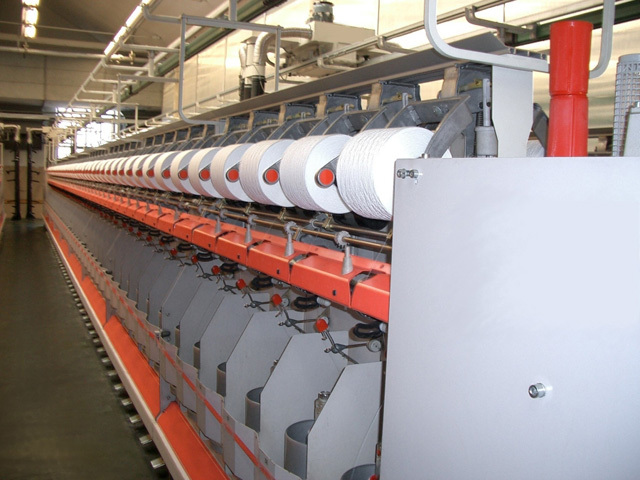 Teijin Aramid is our fibre supplier for Twaron? which belongs to the scope of para-aramids. Twaron® is highly qualified for various fields of application as e.g. for cut protection gloves as well as for strong heat protective clothing. Aramex-Garne GmbH is a selected and licensed partner for the new product Twaron PremiumLine for cut protection gloves. The Twaron PremiumLine provides an extremely extended cut protection combined with excellent wearing comfort.